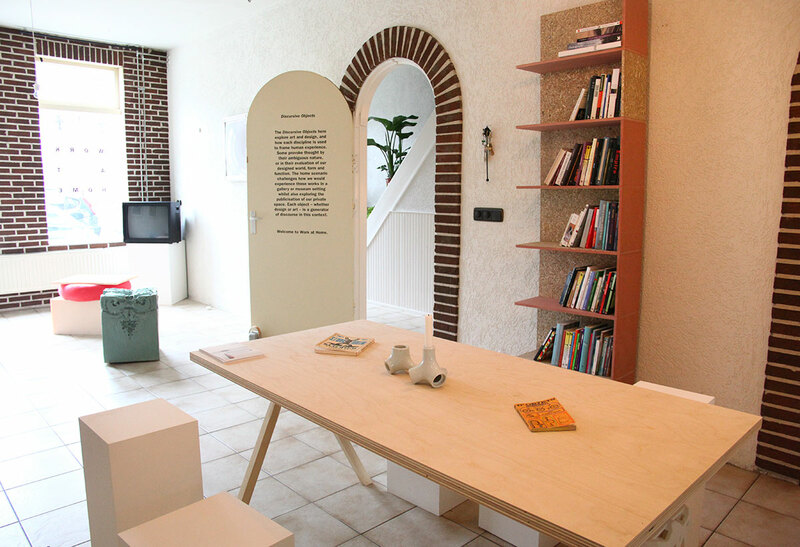 The first exhibition for Work at Home situates art, design, and transdisciplinary practices in the home space. In what might be a likely setting for ‘design’, outside of the white cube it presents an alternate context for how we experience contemporary art today. The presentation of ‘art’ and ‘design’ suggests a mutual inclusion of both devices which we use to frame human experience. Beyond ‘home exhibition’ histories, the structure of the visitor experience is as a lived-in space, and presents potentials of what a contemporary collection of art and design might look like today. Presenting in the home creates a new paradigm that explores the evolving publicisation of our private space.